Welcome to the new free online fashion game for girls! Lisa and Mark are going on a date for the first time ever and they chose... the historical castle! There's a good cozy restaurant where none of these two was before. So, the young couple will meet and Lisa wants to look very beautiful. She needs your help, will you create fro her the most romantic and stylish look? Pick a pretty dress, make up, don't forget about the matching shoes and accessories. Mark will be very happy to see his girl looking like a princess. Enjoy playing Castle Dating Dress Up free online now! 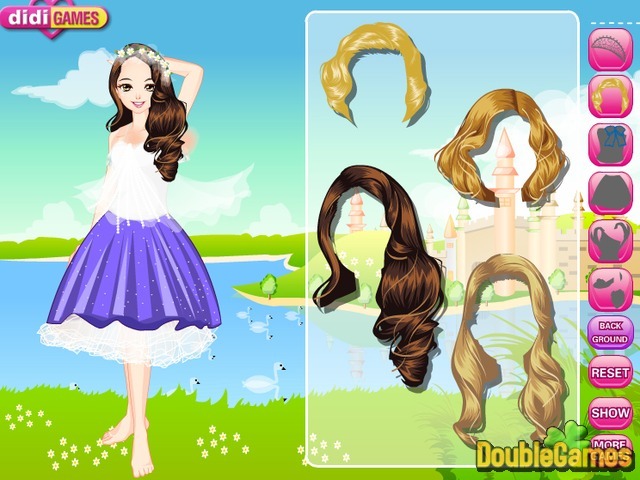 Title - Castle Dating Dress Up Online Game Description - Try Castle Dating Dress Up, a Time Management game built up by didi Games. Lisa has to look like a princess for her date and you are going to help her with that.